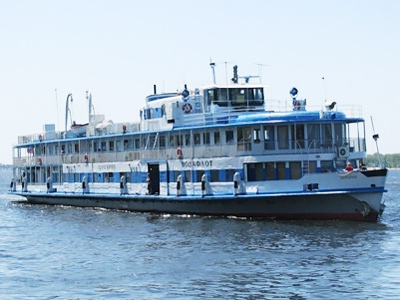 It took just about three minutes for the pleasure boat “Bulgaria” to turn over onto its starboard side and go underwater, killing over 100 people onboard, survivors of the tragedy on the Volga River say. Svetlana Alekseeva, a staff member on the “Arabella” cruiser which was the first vessel to reach the site of the tragedy and pick the “Bulgaria” passengers out of the water, says those on the capsizing ship did not have enough time to launch the lifeboats, and that only two rafts opened up. She added that when tragedy struck it was raining heavily and the wind was blowing fast. ­One survivor, Ruslan Zabirov, who lost his pregnant wife in the tragedy, says the "Bulgaria" went down to the accompaniment of joyful music onboard, and no alerts or warnings were heard. Zabirov noticed that something was wrong only when the ship tilted. He put a life vest on his wife and tried to break through the porthole in order to escape his room. He injured his arms and legs badly, and when the water broke through the window, he was yanked out by the current. His wife drowned. “On Wednesday we were supposed to find out the gender of our baby on the ultrasound,” Zabirov said. When he finally surfaced, he saw a rescue raft with people dumbstruck with panic. 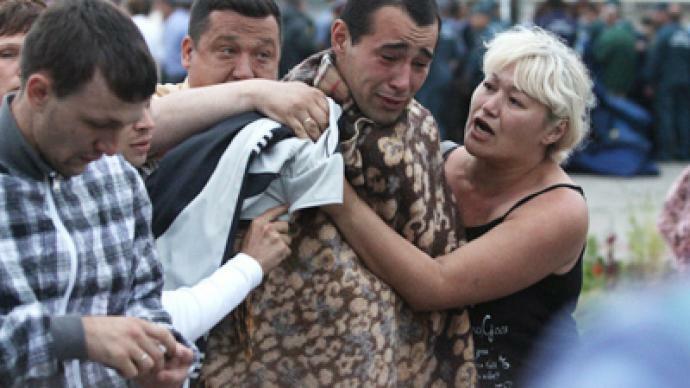 “I saw a man crying, so I hit him and told him not to cry among children,” he recalled. Along with other survivors, Zabirov tied several rafts together so that those panicking would not overturn them. He also helped save people who were floundering in the oil slick left by the sinking ship. “It was hard getting the people covered with oil out of the water. I’m soiled in oil, and they’re in oil, when you pull them, they slip out,” he said. ­One of the survivors said that two freighter ships passed by without stopping to help, despite signals of distress. “There were people in the water, some on the rafts. Two ships sailed by, a tanker and a barge. We waved at them and they just passed by,” said Nikolay Chernov, who lost his wife and grandson in the disaster. The report was confirmed by “Arabella’s” Svetlana Alekseeva. 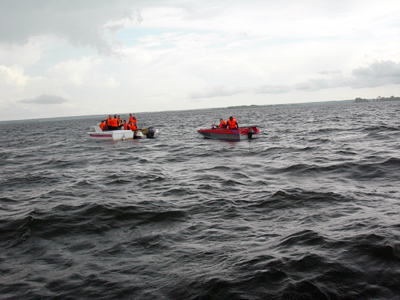 The woman also said that passengers of another boat, which passed near the site of the wreck, rushed to take videos with their mobile phones, despite calls from the victims not to do so. Two ships that passed by the sinking “Bulgaria” without offering any help were identified, the RIA Novosti news agency reported. 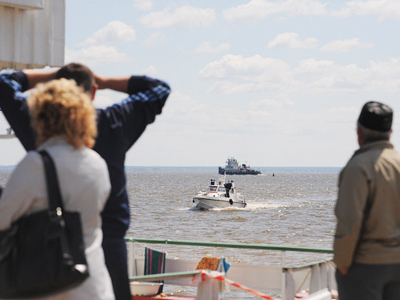 The captains of both vessels will be disciplined, Igor Levitin, the head of the Transportation Ministry, stated on Monday. “According to the information we managed to obtain, two ships were passing by "Bulgaria" when the tragedy happened. We know the names of both vessels and the names of their captains. One of the ships is a marine vessel. We will bring in legislative measures to punish the captains,” said Levitin. 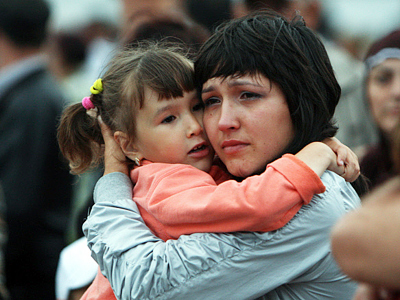 Psychologists are currently working with the survivors from the “Bulgaria”. 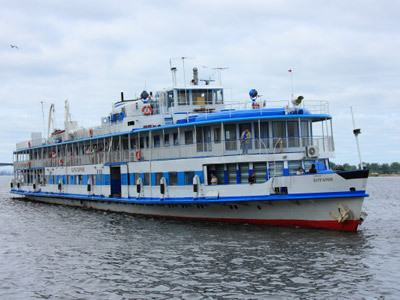 Many of those onboard traveled with their families, as Volga River cruises are a popular vacation among Russians and foreign tourists. The relatives of those missing complain there is no information about their loved ones. “It's horrible,” another relative said.